Paper... Something. : Painting Experiment: A Rope of Sand. Painting Experiment: A Rope of Sand. 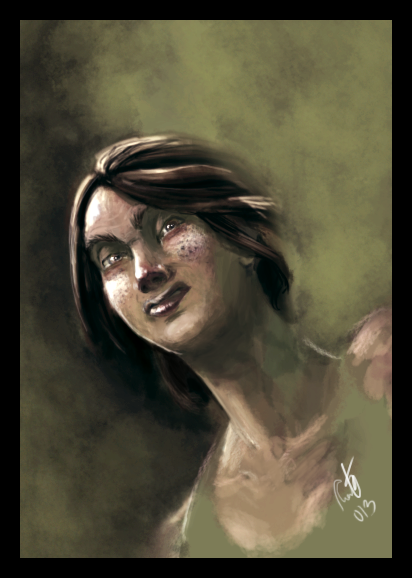 So continues my painting/portrait experimenting, this isn't anyone specifically, just a made up face. I tried my best to give her a facial expression that wasn't just the classic dead stare of a robot (not to insult robots, I love you guys!). And secondly, give it a bit more life by tilting it, changing the angle and so forth. Hopefully I succeeded a little, but much more practice yet to come.